For the past 4 days it has been HOT in Germany. A level of hot that I typically enjoy in MN, but here there is no air conditioned office to escape to. I am lucky that we at least have a portable unit at home we can move from room to room! This means a few things here for me…Gelato becomes a regular part of my day, and a refreshing drink at the end of the day is needed! 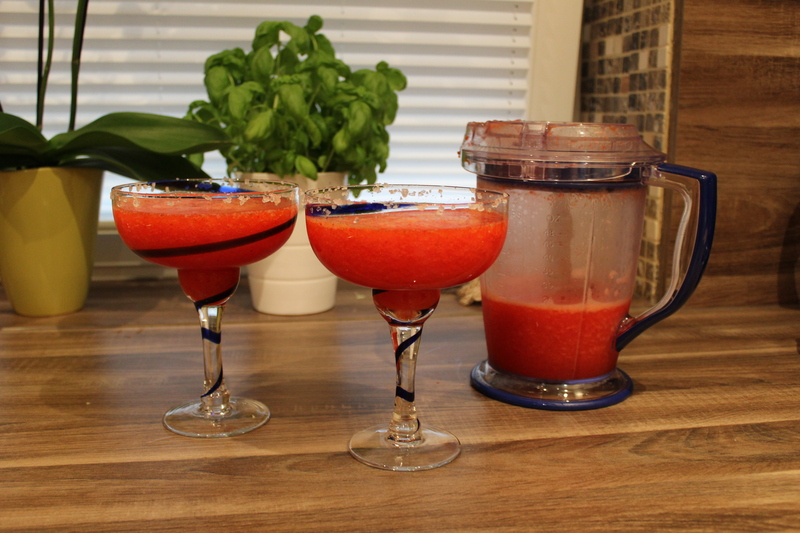 Since it is also approaching the end of strawberry season in Germany, and my husband has an affinity for pink cocktails, today we made Strawberry Margaritas to accompany the tacos we had for dinner thanks to our friends Jason & Kirsten! They recently sent us a fabulous care package from the US including Chipotle taco seasoning…it was delicious! Ice also helps…but I left it in the freezer until the last minute. 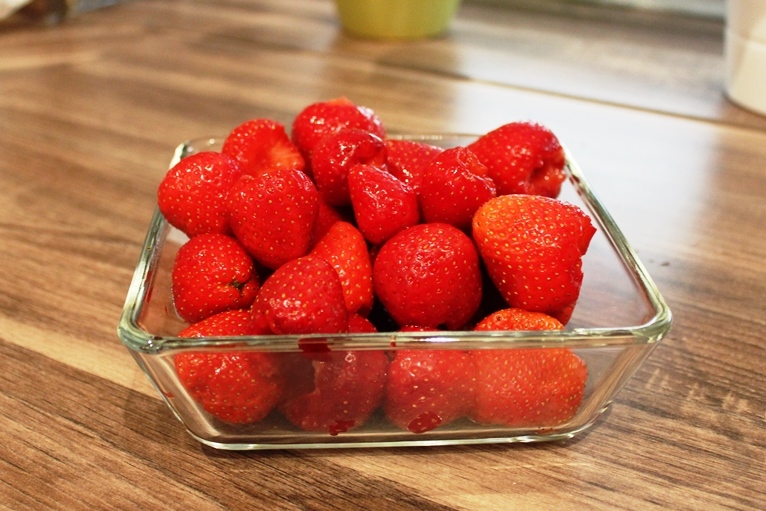 First, remove the stems and any not so nice parts of the strawberries. German strawberries are delicious. I mean, really delicious. Just looking at this makes my mouth water! Now juice three limes. 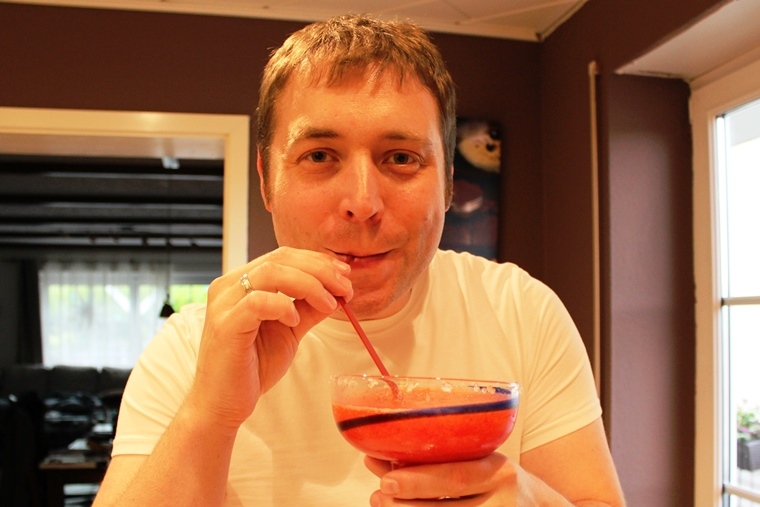 If you are me, you are in such a hurry to drink your margarita that your picture looks like crap! Add all the ingredients except the salt to the blender. FYI – my Ninja is the appliance from the US I use the most here! 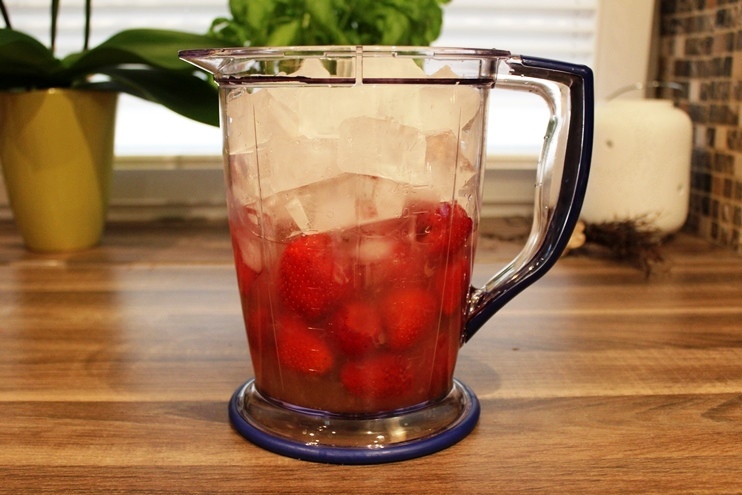 Blend it up real good, until you no longer hear the big pieces of ice hitting the sides of the blender. 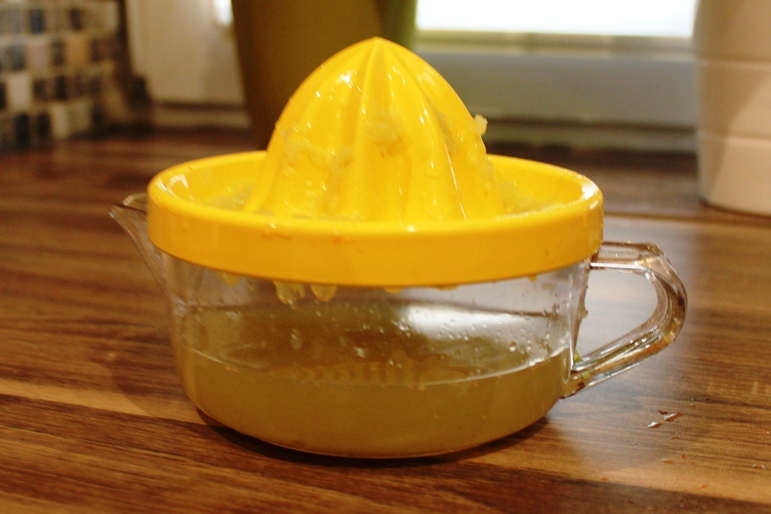 Put some salt on a small plate and then run the rim of your glasses under a light stream of water to moisten it. Rub the rim of the glass in the salt. Double Yum 🙂 These are perfectly tart without being overly sweet. And a great way to cool off! 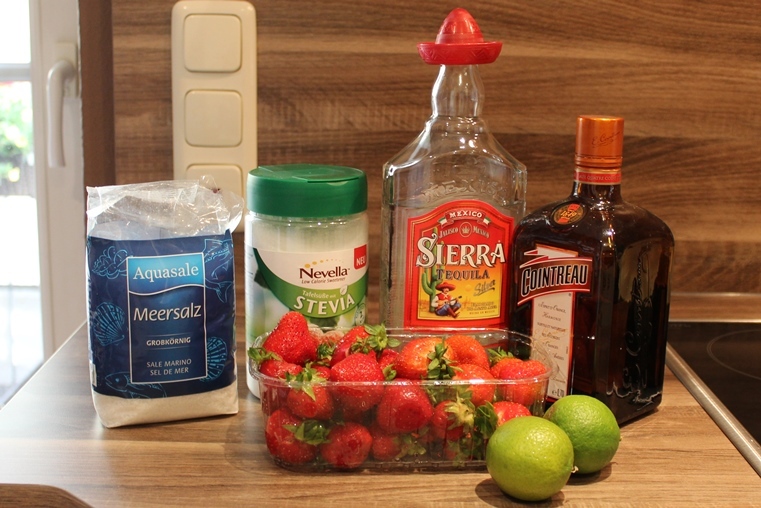 Add all ingredients to a large blender. Blend until smooth. Enjoy!